Thank you to those of you who joined us for our 3rd Anniversary Party last week. 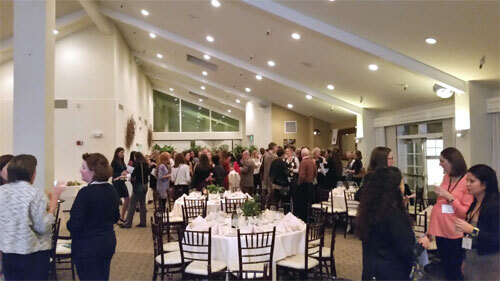 We had a fantastic turnout at the lovely Freemont Hills Country Club. CLUB President Annie Rogaski spoke of the growth and achievements in the CLUB over the past year, including the inaugural year of our Incubator Program, our Big Read Initiative, and the launch of our temporary CLUBhouse in Palo Alto! Incoming 2016 President Kristiane Koontz spoke of her vision for the future of The CLUB and the importance of the CLUB’s new Thriving Workplace initiative which will help shape the dialogue on workplace policies and best practices that will help enable a critical mass of women leaders to thrive. CLUB members Jennifer Lotz, Kathleen Bost, Jo Ann Woodsum and Judith Coley received CLUBbie awards for their contributions to the CLUB this year, and keynote speaker Sally Thornton provided thought provoking insight into the future of work and women’s leadership. For those of you who attended and are not yet members, we invite you to apply to join our organization – click here to complete our short online application. If you are already a CLUB member and would like to get more involved, we are currently conducting our leadership drive for 2016 to identify CLUB leaders and committee participants at all levels. Click here to learn more and apply. The application period closes November 30th. Our groundbreaking Incubator program is also accepting applications through November 30th. Click here to learn more about the program and apply for 2016. Our Philanthropy committee also conducted a toy drive and donations were collected onsite. The holiday season can be difficult for foster children, especially those arriving in a new home during this time. In an effort to help local foster kids keep the joy of the holidays in their hearts, The Club Silicon Valley is supporting Sleep Train’s Annual Secret Santa Toy Drive, and you can help, too! You can donate online through Dec 13th and the shopping will be done on your behalf. Finally, we’d like to extend a huge thank you to our sponsors for this event including NERA Economic Consulting, Service Rocket, Procopio, PwC, Kilpatrick Townsend, Brattle, WilmerHale, as well as our fantastic Programming Committee led by Kate Wilson and Jennifer Lotz for organizing this year’s event. 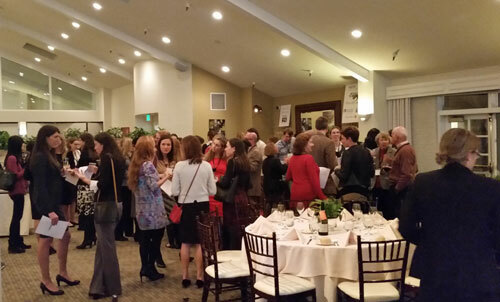 At its 3rd Anniversary party at the Fremont Hills Country Club in Los Altos Hills, CA on November 17th 2015, The CLUB awarded four CLUBbie awards to current CLUB members making a significant impact to the organization. Drivers are a special sort of person. Whether they come up with an idea or are inspired by an idea of another, they are the ones who can see what needs to happen to make it come to fruition. Jennifer Lotz, a Freelance Attorney, was one of two CLUB members awarded the Driver award for 2015. 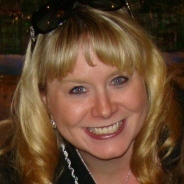 Jennifer joined the CLUB in late 2013 and quickly jumped in to contribute as part of the CLUB’s 2014 Programming committee, along with co-chair Laraine McKinnon. Jenn is diligent and detail oriented but also strategic and connected to big ideas. She designed events and moderated panels. Pitch Perfect to Mastering the Art and Science of Effective Feedback, to this Anniversary Party – Jennifer has given us the opportunity to learn, connect and have fun. 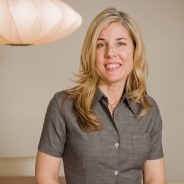 We had another significant Driver in the CLUB this year – Kathleen Bost, Principal of Kathleen Bost Architecture + Design. Thanks to Kathleen’s leadership of the CLUBhouse committee – and her architecture and design expertise – we have an adorable and hearty CLUBhouse at 650 Gilman in downtown Palo Alto. I hope many of you have had the opportunity to visit the CLUBhouse. If you have, you’ll see the results of Kathleen’s vision. Kathleen was the key person driving the design of the CLUBhouse and ensuring the project stayed on track in terms of design and timing. She developed drawings, sourced furniture and flooring, and participated over Facetime when she couldn’t be there in person, updating designs in real time. Part of the reason Kathleen is recognized with the Driver award is that she stayed true to her vision – particularly when getting furnishings for the CLUBhouse. 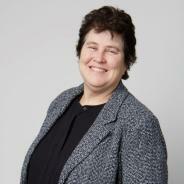 Jo Ann Woodsum, Senior Counsel at Carr McClellan, has been a tremendous advocate for The CLUB. Not only inviting those she knows to join, but she proactively suggests ways of getting word out to a broader audience, such as making membership one pagers readily available and encouraging us to bring them to conferences to expand our reach. Jo Ann is a reminder of what made us all excited enough about The CLUB to want to join and build our community. This award recognizes an individual for developing and implementing an impactful new initiative for the CLUB. Judith Coley, Chief Marketing Officer at Ushur, identified a program that would serve our community while giving The CLUB a marketing boost: The Big Read. Because of Judith, we now have a quarterly book discussion that aligns with our programming themes, and we have just started publishing book reviews on behalf of The CLUB. The winners were announced at the CLUB’s third anniversary event, which was dedicated to Envisioning The Future of Women’s Leadership and featured Keynote speaker Sally Thornton. The CLUB’s Philanthropy Committee is sponsoring an opportunity to give to children in need this holiday season through Sleep Train’s Annual Secret Santa Toy Drive. The holiday season can be difficult for foster children, especially those arriving in a new home during this time. With help from carefully selected non-profit foster care agency partners, the Sleep Train Foster Kids program takes in donations and disperses them to foster children most in need. Help local foster kids keep the joy of the holidays in their hearts by bringing your donations of new and unwrapped toys, books, electronics, or gift cards to the CLUB’s Anniversary Party. If shopping isn’t your cup of tea, you can donate online at www.sleeptrainfosterkids.org/campaign/theclubsiliconvalley, and the shopping will be done on your behalf. In 2011, five women started building the CLUB, to create an environment where women help women accelerate their collective leadership paths. In the years that followed, the CLUB found strong support for building this community that enabled us to grow to 250 members across professions and generations, while also delivering programming and services and expanding leadership within our organization. This story of growth is one heard frequently throughout San Francisco and Silicon Valley, as organizations mature and move beyond their startup phase into our building phase. As we look forward to 2016, we do so from a strong foundation -- stable, established, and ready for our next chapter. To help guide us through these next critical chapters ahead, the Board of Directors has appointed Kristiane Koontz to the role of CLUB President in 2016. As one of the five co-founders, and current Vice President, Kristiane knows the CLUB’s history yet also brings a fresh perspective to charting our future path. Annie Rogaski, our president for the past four years, will be elevated to our Advisory Board and remain heavily involved in the CLUB, providing leadership to our Thriving Workplace Initiative, continuing to walk and talk on Fridays, and participating in our CLUB events. We thank Annie for her vision and leadership in bringing the CLUB to life and leading the organization over the past four years. Please join us at our upcoming anniversary party on November 17th to celebrate the successes of the past and visions for the future. We look forward to seeing you there as we welcome Kristiane, thank Annie, and work together to build an even more dynamic 2016. You joined us to accelerate your leadership journey and help other women on their paths. Now you have the opportunity to join the ranks of The CLUB’s leadership team and/or committees and further your development and the CLUB’s mission! We are launching our 2016 leadership and committee participation drive to find the next leaders and supporters for the CLUB. Board of Directors– We are seeking a few strategic thinkers who can further the CLUB’s reach and also roll up their sleeves to provide leadership and oversight for critical CLUB initiatives. Managing Directors / Operating Committee– A Managing Director will be responsible for the leadership and performance of each CLUB committee. Formerly, we’ve called these roles Committee Chairs. A newly formed Operating Committee will be comprised of these Managing Directors to facilitate coordination and synergies between committees. This leadership body will meet once per quarter as an operating committee and once per quarter with the Board of Directors in addition to any committee leadership meetings. Committee Directors– Committee Directors will lead key initiatives and programs within each Committee and will report into the committee’s Managing Director. Community Leaders– help organize quarterly informal events for a subset of the CLUB community (e.g. industry, geography, and experience level groups). We are currently seeking applicants at each of these leadership levels. If a leadership position within the CLUB is not right for you at this time, we strongly encourage you to join one of our committees. To apply to leadership positions or to choose a committee to join in 2016, please fill out this brief survey by Monday, November 30th. As a CLUB leader, you will be given the opportunity to lead or co-lead teams, with guidance and feedback from other CLUB leaders and/or the Board. You’ll also get to know more CLUB members and deepen the connections you have already made. Please note that some committee leadership positions have already been filled. We will contact applicants for leadership positions to set up interviews later this year. Please be sure that your members-only site profile is up to date so we can use that for reference as we evaluate candidates. We look forward to an exciting and inspiring 2016! We’ll have several sessions throughout the afternoon / evening to visit the CLUBhouse and network with other members and guests. Watch our members only site for more details. As some of you may recall, four years ago, as the CLUB was being created, the co-founders envisioned a CLUBhouse as the key to our vision – a dedicated space where our members could gather to inspire, energize, and help each other accelerate their leadership paths. Our original vision is being realized with a 6-month “pop-up” CLUBhouse in downtown Palo Alto. This will enable us to test out our vision, see how our members use the space, and decide whether this will be a long-term pursuit of the CLUB. The CLUB also plans a similar venture in San Francisco in 2016. Members can start using the CLUBhouse right away – just fill out an event form to reserve the space. Thank you and congratulations to the Real Estate Committee for this milestone achievement! We are officially launching our CLUB Incubator, an advocacy program designed to give experienced leaders a boost to help propel their career growth and personal potential. If it already sounds familiar to you, you either saw the announcement of our 2015 pilot program, or know Erin Brooks Sawyer (Tesla), Jennifer Adams Draffen (Facebook), Michelle Garrison (Synopsys), Alice Katwan (Genesys), Donna Kolnes (Adobe), Katherine Mendonca (Apple) and Mindy Morton (Procopio) who together formed our first cohort in the soft-launch of the Incubator. The application period for the 2016 Incubator program is now open - applications are due on November 30, 2015. For more information on the program and eligibility requirements, please see our website, talk to co-Directors Mindy Morton, Kristi Royse or Laraine McKinnon, or one of the 2015 Incubees. If you are an expert in your field, have ambition and drive, and want a little more recognition for it, we encourage you to apply by submitting the 2016 Incubator Application. The Incubator would like to recognize Joanna Bloor, representatives from Adobe, Glassbreakers, KLR Consulting, Laurie Kretchmar Associates, LinkedIn, and Olive Grove Consulting for their contributions and support, as well as Procopio, Cory, Hargreaves & Savitch LLP for their generous sponsorship. Board members Annie Rogaski and Karen Catlin had the honor of presenting the goals and founding story of the CLUB to an International delegation of women entrepreneurs from Latin America who were learning about women's leadership efforts in the U.S., through the U.S. Department of State International Visitor Leadership Program. The idea of the CLUB was enthusiastically received by the delegation who expressed similar needs to ours – helping each other on their entrepreneurial paths, building strong women networks, and coming together to inspire and help each other. They had a laser focus on and asked fantastic questions about how to start a similar organization in their native countries, and how they could work with the CLUB. We closed the meeting with the promise to keep talking, to figure out how we could make our network and events more accessible globally, to enable women across the globe to take advantage of resources and ideas already developed that could be adapted to different cultures and countries. It was inspiring to see the global interest in the CLUB model! The CLUB’s fledgling book group called The Big Read, is beginning to take flight. In Q3 we read “Stiletto Network” by Pamela Ryckman – a book that discusses the women’s networks that are bubbling up all over the United States. This was very complementary to the quarter's theme of breaking into the Old Boys’ Club - the book suggests an alternative strategy - of building our own networks. We were excited to be one of the first groups to meet at the CLUB House, and we found it to be an ideal setting for our informal discussion. At our meeting we rounded off the session with a round–the–room ‘make the ask’ session which provided us with some great new ideas and introductions. As the evenings draw in, we have named two books for Q4, the first is by the ever ebullient Mindy Kaling “Why Not Me” which chimes well with the theme of Celebrating Our Successes. The second book is “From Surviving to Thriving” by Australian author Sarah Cordner, which is a book with a lot of optional workshop activities, to help you get set up for a flourishing 2016. Whether or not you have read the books you are always welcome to join the meeting, we have found it to be a lovely forum for more in–depth conversations. To receive Big Read updates please join our group: Big Read. Big Read's next meeting will be in early December at the CLUB House. Please feel free to email Judith Coley if you would like to learn more about The Big Read or the quarterly books. In July, communications expert and leadership coach, Felicia Spahr, taught us how to improve our presentation skills and craft a compelling message that inspires action by understanding our audience, communicating our ideas succinctly and persuasively, and presenting our message with confidence through body language and speech. One tip – record yourself speaking and play it back. Keep practicing until you can present your message with power and authority! In August, we partnered with the Mentoring Committee for a micro-mentoring event on strategies for combatting unconscious bias. We watched a short video presentation from UC Hastings College of the Law professor Joan C. Williams and her daughter Rachel Dempsey, explaining their groundbreaking research on “What Works for Women at Work.” We then broke into small groups for micro-mentoring sessions on each of the four biases to discuss our own struggles with unconscious bias at work, and share strategies for overcoming those biases. We ended the quarter in September with a networking workshop led by CLUB member Kristy Rogers who gave us techniques for taking the fear out of meeting new people. We practiced our new skills in small groups of five, answering both personal and business questions to get to know one another better. One easy ice-breaker question when meeting someone new – “If I knew you, what would I ask you about?” Find more networking questions. The CLUB's Anniversary Party on November 17, 2015 at the Fremont Hills Country Club in Los Altos from 5:30 - 9:00 p.m.
A sit-down dinner will be served and our keynote speaker will be Sally Thorton. Tickets for members will be $50.00 per person and guest tickets will be $80.00 per person. Each member can bring one guest at the $50.00 member price and significant others and male guests are encouraged to attend! More details and Eventbrite registration coming soon! And, watch for announcements on holiday celebrations and get-togethers from the various segment groups. We are starting to plan for 2016! If you have any ideas for themes, events, speakers, or venues, or would like to get more involved with Programming as an event chair or quarterly chair, please contact Jennifer Lotz. The Philanthropy committee is hosting Club members for an event helping community members at the Second Harvest Food Bank in San Jose. Our event is October 28th from 6-8pm and those Club members who want can join us for drinks and/or food immediately afterwards. Please rsvp to rem@kvn.com if you want to join us. The committee is also looking for new members to join our committee. Please join our committee on the Club’s group page if you have an interest in helping develop ways in which Club members can meet each other, while giving back to our local communities! The CLUB has experienced a year-over-year growth in fully enrolled members of 51% and has produced 8member spotlights by Q3 2015, twice as many as Q3 2014. The membership committee continues to welcome new members to the CLUB. Refer friends and colleagues to the application form to connect them to the CLUB network. If you would like to nominate a member (including yourself!) to be featured in an upcoming spotlight, please email membership@theclubsv.org. If you’ve received an award or know of a CLUB member who has, please email us at membership@theclubsv.org for inclusion in our next newsletter. There are so many ways to get involved, get connected, and get inspired – if you’re not taking full advantage of your CLUB membership, reach out to any of us to learn how. And to those of you who contribute your talents and energy to lead the CLUB initiatives and programs, THANK YOU. You make an important difference in women’s leadership. Four years ago, as the CLUB was being created, the co-founders envisioned a CLUBhouse as the key to our vision – a dedicated space available to our members to gather to inspire, energize, and help each other accelerate their leadership paths. The Board is thrilled to announce that we are launching our CLUBhouse! Our original vision is being realized with a 6-month “pop-up” CLUBhouse in Palo Alto. This will enable us to test out our vision, see how our members use the space, and decide whether this will be a long-term pursuit of the CLUB. The CLUB also plans a similar venture in San Francisco in 2016. Stay tuned for a Launch Party announcement. Susanna Jacob brought the opportunity to the Board. Kathleen Bost, co-chair of the CLUBhouse Committee, led the design of the CLUBhouse, to ensure it had a comfortable and inviting feel for our members. Joann Woodsum, co-chair of the CLUBhouse Committee, and members Lianne Kennedy-Boudali and Rhys Cheung, together with Kathleen, worked hard to evaluate feasibility of the space, negotiate for use of the space, and evaluate logistics to make the space easy to use for our members. Thank you, Susanna, Kathleen, Joann, Lianne, and Rhys, for helping to make the CLUBhouse a reality! 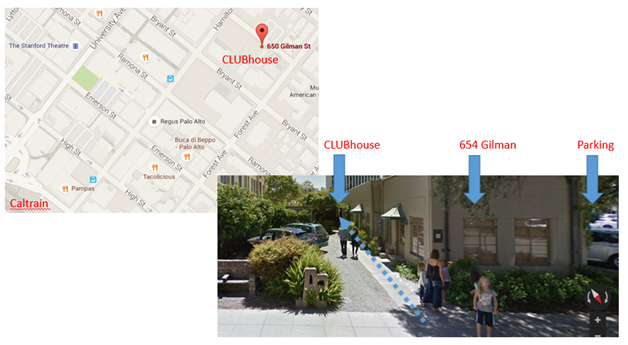 The CLUBhouse is conveniently located in downtown Palo Alto just off University Avenue, at 650 Gilman Street and is set back from the street, behind 654 Gilman. With ready access from 101, 280, and Caltrain, the CLUBhouse is centrally located in Silicon Valley. What type of events will be held at the CLUBhouse? It’s simple – just fill out a reservation form (available on the Members’ Site - Club Resources Page) preferably 1 week or more before your event. If available, your event will be confirmed – if not available, we will look at alternative dates. We will provide you with all the information needed for hosting events at the CLUBhouse. Help us fully test the CLUBhouse. This is space for you to deepen your connections with other members, so please use the space and let us know how you like it! Have you received any awards this year? If so, please send us a note at membership@theclubsv.org so that we can include you in our upcoming Recognition Report! The CLUB had an exciting second quarter as we realized a 51% year-over-year growth in members, launched our Big Read book review program, continued to see more members organizing informal gatherings, and hosted two all-members events focused on giving/receiving feedback and board readiness. Are you a book nerd or just looking for some tips on how to navigate the workplace, gain leadership skills or improve your networking? Then the CLUB’s Big Read program is for you. The Big Read selects a book each quarter and organizes reading groups and other programming events associated with the book selection. This past quarter we read Patty Azzarello’s Rise: How to be Really Successful at Work AND Like Your Life. In Rise, Azzarello shares her guide to succeeding in the workplace based on three precepts: Do Better, Look Better and Connect Better. The Do Better portion of the book emphasizes the importance of adopting ruthless priorities, i.e., the idea that in order to succeed it is crucial to select one or two priorities with the understanding that many other priorities may need to be shelved until your main goal is achieved. Look Better provides a brief but powerful discussion on developing your personal brand. Connect Better focuses on networking tips including the importance of networking both within your company and outside of your company to the broader community. A small group of CLUB members gathered to discuss the book on June 17. The discussion was wide-ranging - beginning with the basics of the book and then moving on to invaluable sharing of career advancement ideas amongst the group. Group participants strongly recommend reading Rise. In connection with the Q3 theme of “Breaking Through The Silicon Valley Boys’ Club," the next Big Read selection is Pamela Ryckman’s Stiletto Network: Inside the Women's Power Circles That Are Changing the Face of Business in which the author interviews women who have formed their own power networks to advocate for each other in the workplace. If you are interested in participating in the next Big Read, join the Big Read group. If you have any questions, please email Judith Coley. Current workplace practices no longer serve the interests of companies or their employees. Despite massive changes in the workforce in recent decades, the continued emphasis on long hours, “face time,” and 24-7 accessibility often leads to employee burnout and dissatisfaction while negatively impacting profits. We have an opportunity to reinvigorate our outdated workplace structures by transforming them into thriving environments that leverage diversity and maximize each person’s contribution to success. That’s where the CLUB’s Thriving Workplace Program comes in. The CLUB Thriving Workplace Program provides a platform to bring together business leaders, change agents, and thought leaders to pursue realistic solutions to reinvigorate our workplace cultures. This new CLUB initiative needs your support in the coming months! Please contact Lianne Kennedy-Boudali or Kshama Swamy for more information on how you can get involved, and join our Thriving Workplace group on the members-only website. Do you have a company, product, service or idea you would like to pitch? Or, are you in a business where you need to pitch yourself or your services on a regular basis? The CLUB has a new initiative to give members the opportunity to perfect their elevator pitches. Starting at 6:45 p.m. at the monthly all members CLUB events, up to three members will have the opportunity to give a two-minute elevator pitch to the group and then, in the spirit of learning to grow from feedback, answer up to two minutes of questions or comments about their pitch. If you are interested in pitching at a future CLUB event, please email Jennifer Lotz. We look forward to hearing your pitches! Save-the-Date - Join us on August 25 for a Micro-Mentoring Event on Unconscious Bias. Pop-Up CLUBhouses:The CLUB is excited to announce we are in negotiations to launch a pop-up CLUB house in 2015. Stay tuned for further details to be announced in the coming weeks! Keep checking the member web site for new events! In May, CLUB member Kristi Royse led a workshop examining why we avoid giving and receiving feedback (often because we want to be liked and we are our own worst critics), and how to learn to embrace feedback. In today’s digital age, making the effort to give feedback in person is even more critical. Did you know that only 7% of any message is conveyed through words, 38% through certain vocal elements, and 55% through nonverbal elements (facial expressions, gestures, posture, etc)? Yet, how many of us have important conversations over email, text message or IM? In June, we learned about the personal and professional benefits of non-profit board service from CLUB member Jean Ries, including how to identify suitable board opportunities and the expectations and commitments that come with being a board member in terms of time, talent, and fundraising. Serving on a non-profit board is a fantastic way to use your skills to help advance the mission of an organization you believe in, and can even help develop new talents that you never even knew you had! Interested in finding non-profit Board opportunities? Check out these resources. In August, we'll explore how unconscious bias can hold women back in their careers through a series of interactive micro mentoring sessions. Finally, in September, we'll wrap up the quarter with a session on developing effective networking skills. Find out more about the events and RSVP on our members-only site. If you have any feedback on programming, or have a speaker or event idea, please reach out to Jennifer Lotz or Kate Wilson. We look forward to seeing you at future events! The membership committee has been hard at work recruiting new members and reviewing applications. The CLUB has experienced a year-over-year growth in fully enrolled members of 51% and the membership committee produced 5 member spotlights in Q2 2015. 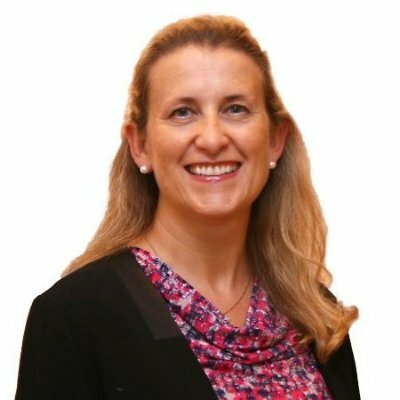 Katherine Mendonca, Director, iOS in Enterprise, Channel Sales at Apple Inc. If you would like to recommend a member to be featured in an upcoming spotlight, please email membership@theclubsv.org. The member's only website has many informal industry / location / experience level based groups that meet up regularly for networking and to discuss issues of interest. Be sure to join any groups that interest you to receive updates on these events. Click here to browse a list of groups (members only). Director of Venues: to help find spaces to hold our events. Quarterly Event Chair for the Second Quarter: with its theme of "Authentic Leadership"
Quarterly Event Chair for the Third Quarter: with its theme of "Breaking Through The Silicon Valley Boys' Club"
Anniversary Party Swag Bag Coordinator: We need someone to head up an effort to put together Swag Bags for The CLUB's Anniversary Party in early October. We would love to have women-owned businesses contribute items to the bags. For example, a coupon for a free exercise class, a coupon for a free bakery item, a discount off a purchase at a boutique, restaurant, or salon, a free or discounted coaching session, a free or discounted resume tune-up, etc. It would also be great if one or more of the businesses could provide an actual item to include, such as a cupcake, cookie, chocolate, key ring, notebook, etc. We need someone to lead this effort by coordinating a team to identify the businesses, obtain the items, and put together the Swag Bags for the event. This will be a great way to promote The CLUB to women-owned businesses and for businesses to promote themselves to CLUB members! Technology Guru: We need a Technology Guru to help us launch some interactive online events. If you have a passion for technology, and would like to help us explore possible platforms to host online chats or web-based presentations that are interactive and informative for our members, we need your help! If you are interested in volunteering or learning more about any of these important roles for the Club, please contact Jennifer Lotz or Kate Wilson. Co-chair / Tech Lead: lead our sponsorship efforts for companies in the Tech sector. Please contact Megan Jones if interested. If you are interested in any of these positions with the membership committee please email membership@theclubsv.org.